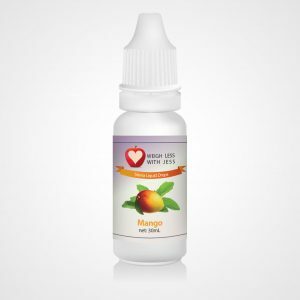 This is for the Mango Stevia flavour. Many artificial sweeteners contain harmful additives that have been known to be detrimental to health and wellbeing. Our natural sugar products come from nature, and are free of controversial ingredients such as aspartame. Can be COMBINED with ALL our Products for OPTIMAL Results. Therapeutic Strength, Natural Detoxifying combination of Globe Artichoke, Milk Thistle, Shisandra Chinensis plus much more. 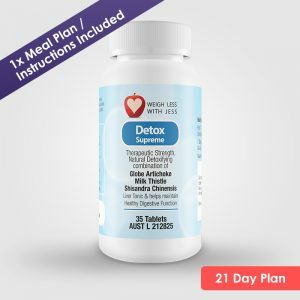 A 60ml Bottle of Weigh Less with Jess Diet Drops will generally accommodate in excess of 7kgs of weight loss* and will last the 1 x 50 Day Weigh Less with Jess plan, when drops are consumed correctly. This is take for Phase 3 of the Weigh Less with Jess Program. A Powerful Multi-Vitamin, Mineral & Herbal Formula designed for daily nutritional needs and to support the body’s immune system. May improve stamina, endurance, energy, vitality, mental & physical performance, relieve fatigue, stress, nervous tension & supports immune function. 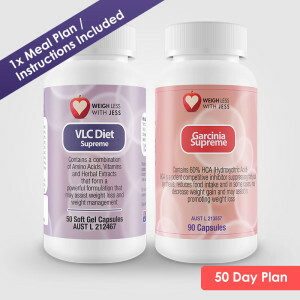 50 soft-gel container will generally accommodate in excess of 7kgs of weight loss* and will last the 50 Day Weigh Less with Jess plan, when consumed correctly. This is taken for Phase 1 and 2 of the Weigh Less with Jess Program. 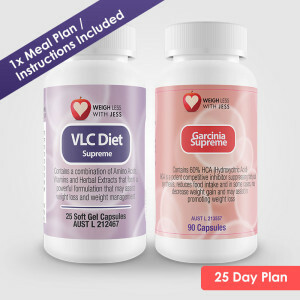 A 25 soft-gel container will generally accommodate up to a 7kg weight loss* and will last the 25 Day Weigh Less with Jess plan, when capsules are consumed correctly. Weigh Less with Jess meal plan is included in your purchase. 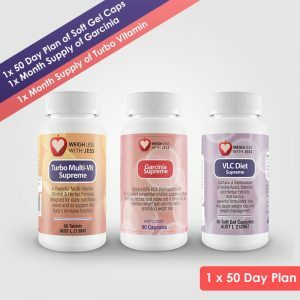 A 50 soft-gel container will generally accommodate in excess of 7kg weight loss* and will last the 50 Day Weigh Less with Jess plan, when capsules are consumed correctly. 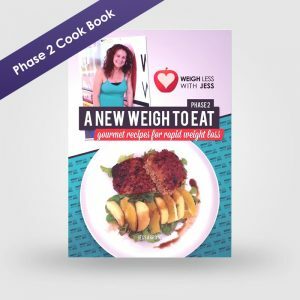 Packed full of Weigh Less with Jess – Phase 2 approved meals for you and the whole family to enjoy. Quick, yet gourmet ideas for your beef, chicken and seafood and vegetarian dishes. Even sneaky desserts to try. Indulge, be inspired and satisfy your taste buds with over 30 recipes. 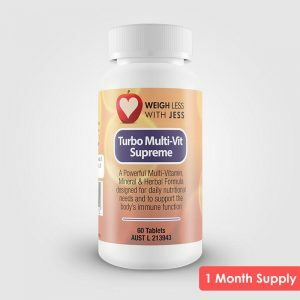 This superior multivitamin can be used whilst on or off the Weigh Less with Jess Program. 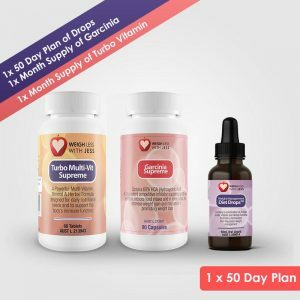 Fight the winter blues or stay on top of your health and immunity; The Turbo Multi-Vit is the perfect product for cold and flu season to boost your immune system. 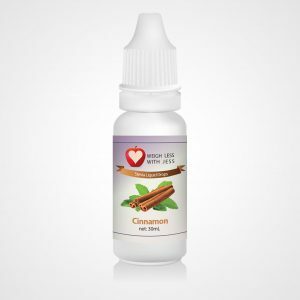 This is for the Cinnamon Stevia flavour. This is for the Peach Stevia flavour. This is for the Pure Stevia flavour. This is for the Cherry flavour.